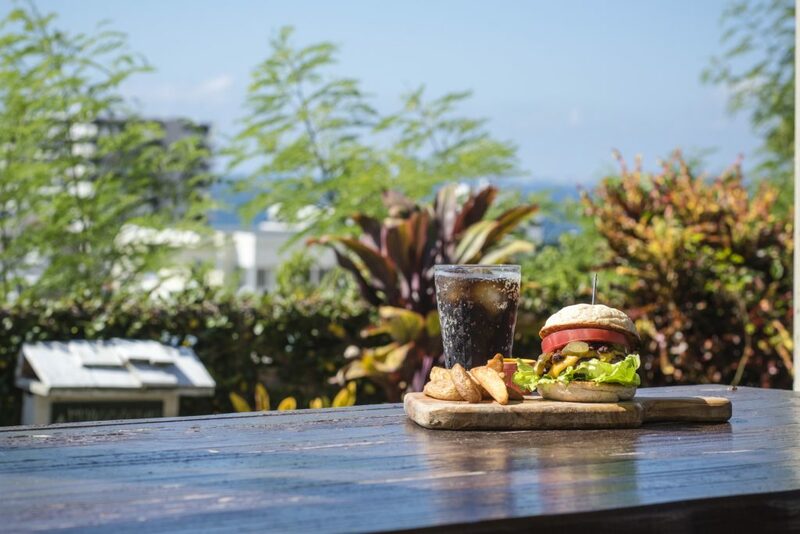 Share the post "Enjoy a huge hamburger and coffee with the Okinawa breeze on your face Bricoleur (Mashiki, Ginowan City)"
If you turn east at the Mashiki intersection on national route 58 and go up a narrow alleyway through the residential area, you will come to a café marked by a tank with a hamburger illustration on it.The name of the shop is Bricoleur, which is in French for a person who patches things together or makes homemade creations.This café is in an excellent location with a view of the ocean in the distance from atop a hill. The first thing that greets you is a big, juicy hamburger!Empty your stomach, and let’s set off! The café is an old residence for American military personnel that has been renovated and has two eat-in rooms that are cozy and relaxed. 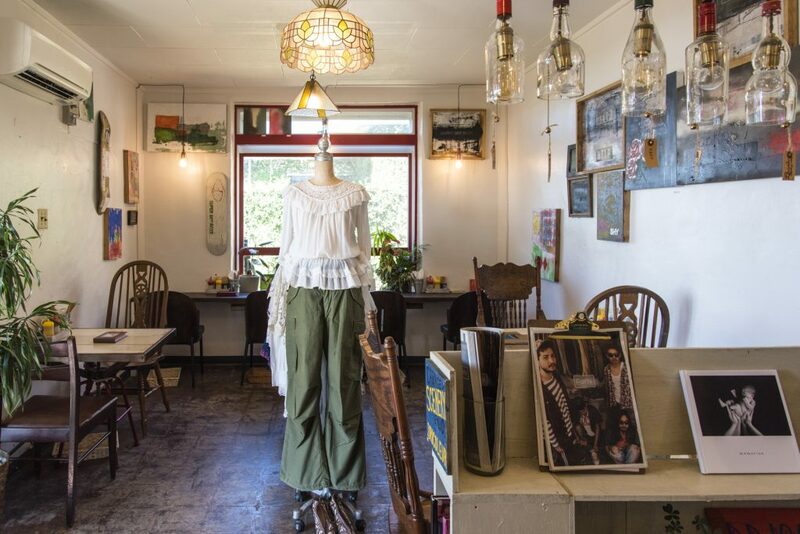 The dining space right near the entrance also has ladies' vintage clothing and accessories for sale. No sooner had I entered the shop when the aroma of meat cooking wafted towards me, stimulating my appetite. But first, let me tell you about the owners. 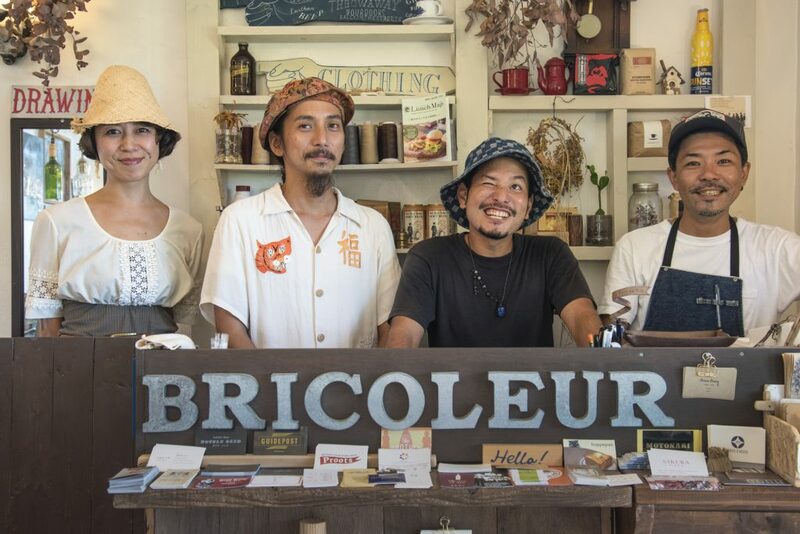 He felt that it was missing something as simply a clothing shop, and recruited Hideyuki Motobu (second from right) and Yuki Shimabukuro (far right in photo), two people he had been friends with for many years who had long been saying they wanted to open their own restaurant with a focus on hamburgers, and they agreed with his request to expand the shop together. That is how they came to open this very unique shop of clothing and hamburgers in 2016. The hamburgers combine meat patties that are so juicy they burst with juice the instant you bite down and unseasoned grilled buns. The coffee is also carefully prepared. There is plenty to enjoy at this shop, so first let us eat our fill. If you like spicy food, I recommend the chili burger set (comes with fries and a beverage for 1,300 yen (after tax)). Filled with loads of jalapeño peppers and chili beans for a burger that really packs a punch. Be one with nature and enjoy it outdoors on our terrace. The mellow flavored A.B.C. 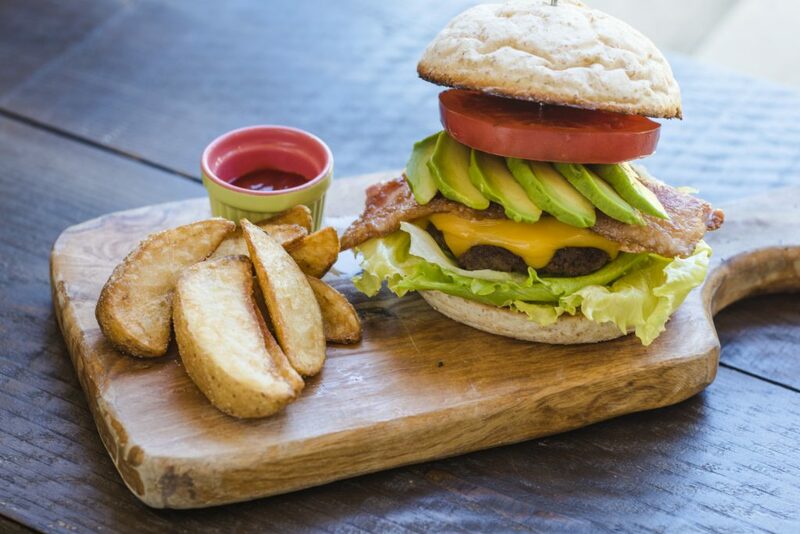 burger topped with avocado, bacon, and cheese (alone, with fries for 1,100 yen (after tax)) is popular with female customers. There is a total of nine other types of hamburgers made with a juicy patty of 100% premium beef and an unseasoned bun toasted for each order. Not only hamburgers, but the coffee beverages as well are specially prepared. 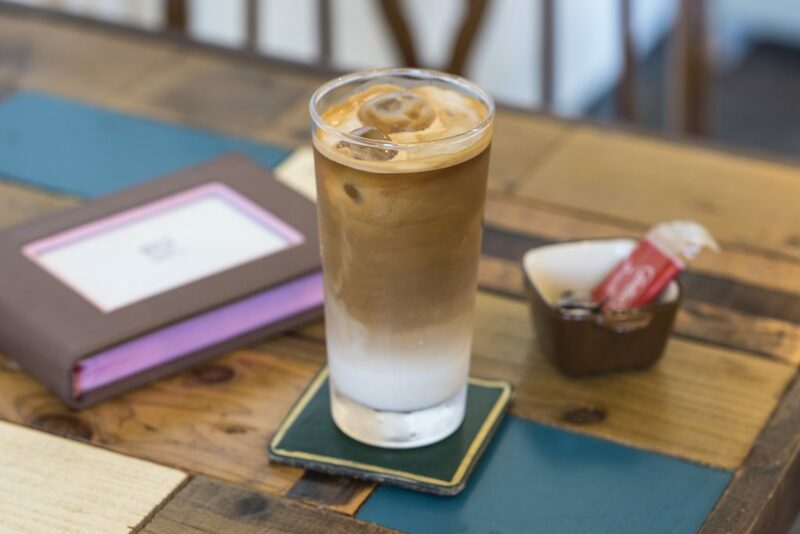 The café latte (450 yen (after tax)) that combines rich EM milk produced in Okinawa with coffee made from beans roasted just for your order is perfect for a break during your drive. 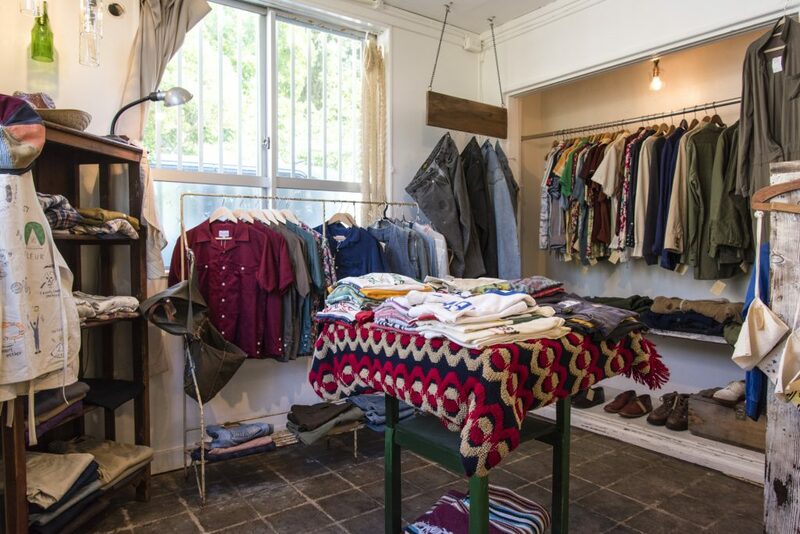 Once you have filled your belly, take a stroll around the shop to find some secondhand clothing that is perfect for you. Among the vintage collections from the U.S., Europe, India and other places around the world purchased by Tomochi, the clerk in charge of ladies' wear, there are lots of stylish items in good condition. If you go into the back, there is a room with men's clothing. 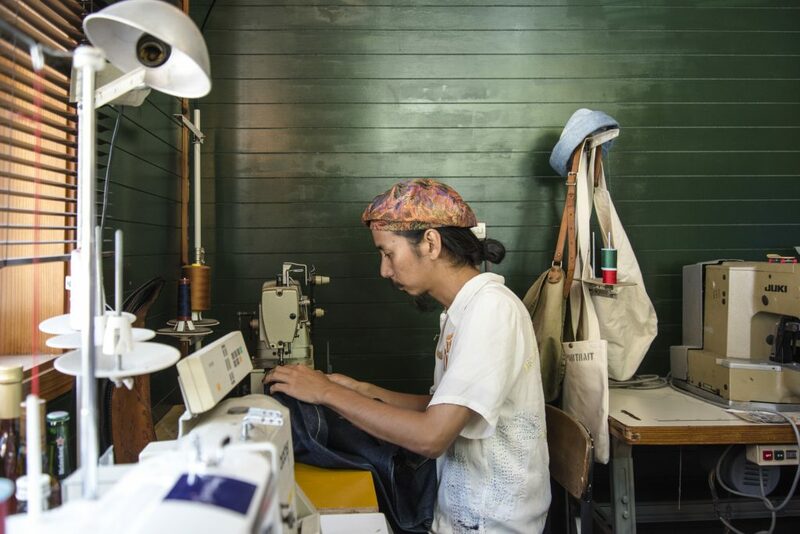 The men's section has secondhand t-shirts, jeans, jackets, and more selected by Ganaha, and also has items from the Parts brand for the younger generation. Ganaha also offers clothing repair and alterations and custom-made clothing.At this shop, you can both have a delicious meal and find a great, one-of-a-kind souvenir.Just visiting this single shop, I am sure you will experience the unique allure of Ginowan City. 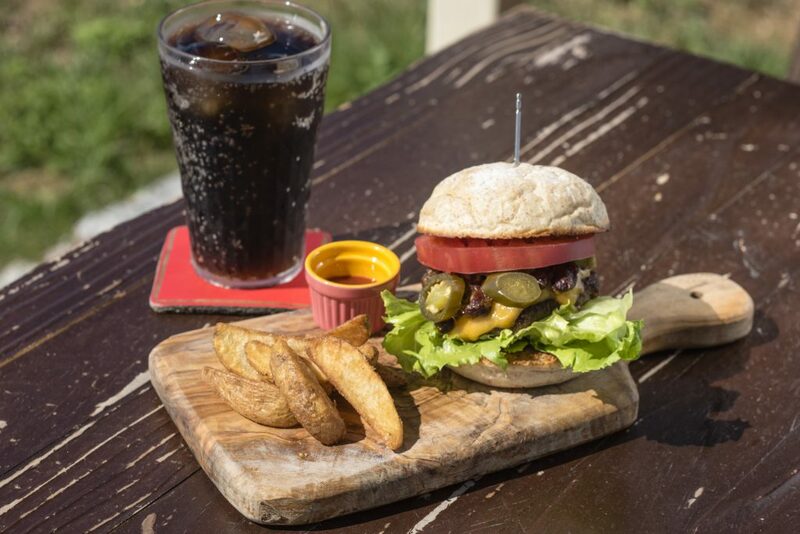 Enjoy a hamburger and coffee in the southerly wind Free drink when you order a hamburger and side dish, free lapel pin with a purchase of 3,000 yen or more.